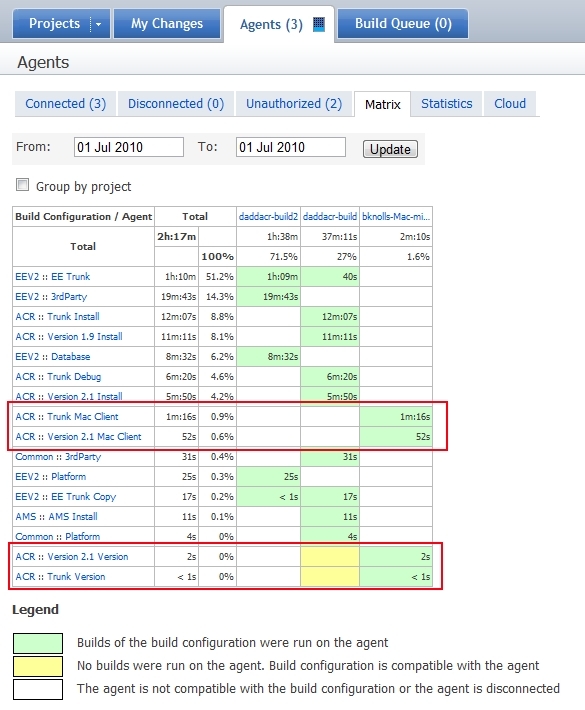 On teamcity's Matrix tab in the Agents screen, has anyone else noticed that the builds will change Agents just by grouping or un-grouping by project? I'm running TC 5.1.2 build 13430. In the attached pictures, pay attention to the two Mac Builds and the two Version builds. When grouped, they appear associated with a Windows server build agent. When ungrouped, they are associated with the Mac client, which is correct. 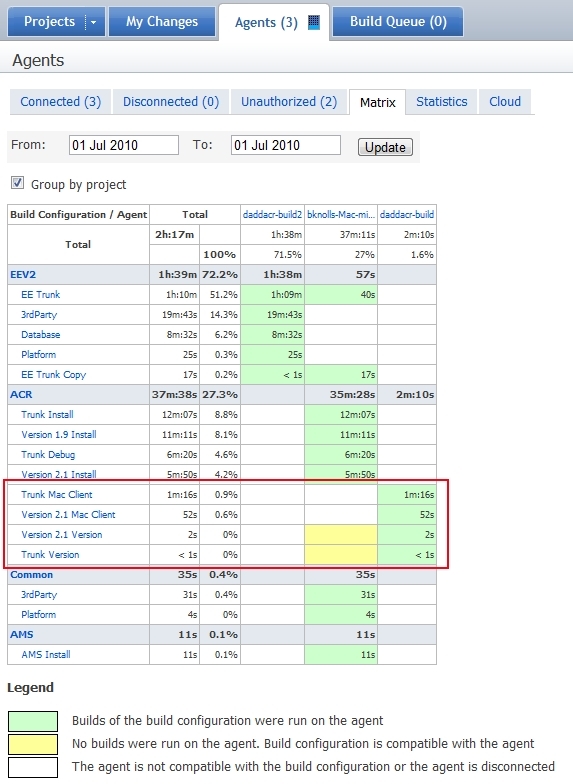 The only thing I have done between the screen shots is check the Group By Project option. Please vote for it. I left a question for you there.